We look at 3 easy and affordable ways to enjoy British TV abroad on your television. There are many options available to watch British TV Channels abroad, however, you may prefer to use your television to enjoy British TV, rather than using a laptop, mobile or tablet. We have our own service that allows you to watch over 100 live UK TV channels online through your laptop, tablet or mobile device in both SD and HD quality. You can get a 24 hour trial here. With an Android TV box you can plug it straight into your television and access UKTV with a remote control, just as you would normally using any TV service. The good thing about using an Android TV box is that you are not limited to a browser based service, you can download apps and KODI plugins that access many different services, giving you many more channels to choose from. 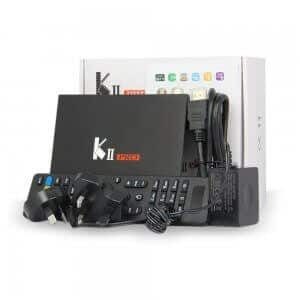 The best Android box on the market is the KII PRO DVB-S2 T2 Combo TV Box Amlogic S905 Quad Core Hybrid Set Top Box. The KII not only has Android as the operating system, it also allows you to plugin a satellite dish or Antenna to receive “Free to air” transmissions and run KODI plus any Android app from Google Play. Some of the apps available, include, Netflix, BBC iPlayer, Filmon and you can access our site through the built in browser. 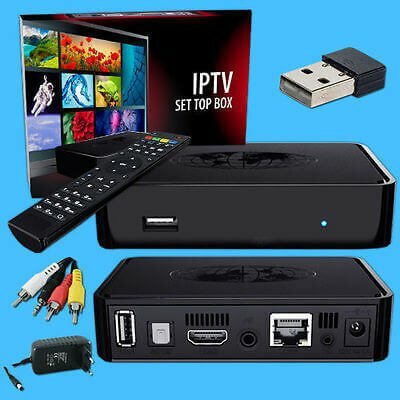 IPTV simply means “Internet Protocol Television” and is used to stream channels directly over the internet to your TV using a set top box, normally the Mag254 as standard. There are many providers who will give you hundreds of channels, including all UK channels plus Sky, Bein Sports and just about every premier league game, if you like football. The only problem with using an IPTV system, many of the server suppliers are sending out illegal streams, so you have to be careful to who you choose as your portal provider. When you buy a Mag254, sometimes they come with a gift, others are just the box and you have to search for a portal provider. When it is setup, it is as simple to use as any set top box and has a very good EPG. By far the easiest way and also the free way to watch UKTV on your Television from abroad is to just wire your laptop or any HDMI capable device direct to your TV. Preferably a laptop should be used in this case as the screen resolution will not pixelate as much as a smaller device. 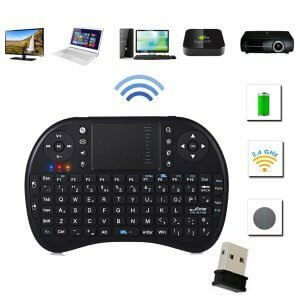 You can also buy a keyboard remote for your laptop, leave the laptop hidden by the TV, sit back and control the channel selection from the remote control. You can even our website to watch all British TV Channels for free on your television, if you are in Europe or Asia. These are all tried and tested ways to enjoy watching UKTV from abroad or in the UK. There are many more options, however, for accessibility and price, the above three options are really all you need. You could install a huge 3 metre satellite dish, however, this is not legal for most channels and satellites are constantly being moved by the broadcasting companies to ensure that only UK residence can enjoy UKTV. We hope this information is of some help to you, thank you for reading.